This In Good Company Quilt designed by Sarah Elliott of QuiltModerne. Made it for Modabakeshop, The Tutorial is available for free. "Today I am excited to share my very first Moda Bake Shop tutorial, In Good Company. 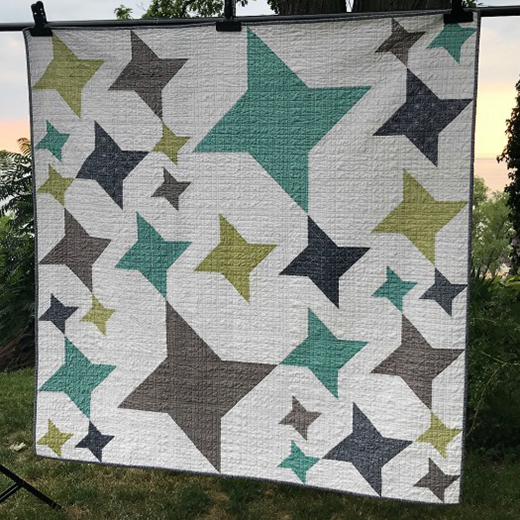 IGC is a modern twist on a traditional Friendship Star quilt featuring alternate grid work."